Warren Bull has been writing "for as long as I can remember." While working as a psychologist he shared an office with Casey Dornan who had published several novels as ebooks. He thought, "If Casey can do it, so can I." After writing a truly abysmal novel, which he plans to have cremated with him, and a merely bad second novel, his third novel, Abraham Lincoln for the Defense got published and that started his career. Heartland is available at http://www.avignonpress.com His novels are available at kindle at http://www.warrenbull.com/kindle_editions.html Smashwords and Untreed Reads. It was after being published that he started to attend critique groups and learning more about writing. 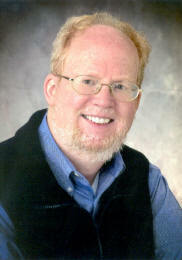 Warren has won awards for his fiction including Best Short Story of 2006 from the Missouri Writers' Guild, Best Short Story from Whortleberry Press and Mysterious Photograph Contest from Alfred Hitchcock's Mystery Magazine. He has a collection of short stories, Murder Manhattan Style, available at his website.